Earnest Mercer, author of "Skivvy Girl: The Love of Post WWII Japanese Pleasure Girl", served in a branch of naval intelligence and was stationed in Japan when the military occupation ended in October 1951. He studied the Japanese culture and language, and continues those interests today. He wrote a thesis on Japan culture and economics during his studies for an MBA. His novel, Skivvy Girl: The Love of a Post WWII Japanese Pleasure Girl is based on his personal observations during his years in Japan. American military occupation of Japan had just begun when seventeen-year-old Matsuyama Yoshiko finished high school. Her father had been killed on Iwo Jima, leaving Yoshiko and her mother without a breadwinner. Neither the mother nor daughter had any workplace skills and hovered on edge of poverty. Yoshiko found work sorting rotting vegetables, but the income was so little they suffered from malnutrition. When Yoshiko could tolerate the job no more and contemplated suicide, she took the advice of her young girlfriends who told her about extraordinary money girls made by “accommodating” the American military men stationed in Japan. After wrestling with her conscience, she reluctantly decided to become a prostitute in Yokosuka though she had no sexual experience whatsoever. Yoshiko arrived in Yokosuka with very little money, no friends, and no plan. She found nobody willing to help her until a prostitute, “skivvy girl” as they were known in military jargon, agreed to introduce her to the mama-san of a local skivvy house. The mama-san took Yoshiko under her tutelage and provided sustenance while the neophyte learned the intricacies of accommodating clients. 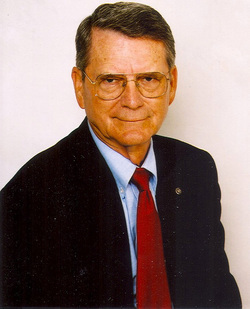 Across the Pacific, Robert Wiley had just graduated from high school in a small rural town. With no money or prospects for meaningful employment, he seized on advice of a seaman home on leave who suggested Wiley enlist in the navy where he could obtain training and qualify for the “GI Bill”. He was assigned to a branch of naval intelligence, and after specialized training was sent to Yokosuka Japan. Wiley visited the skivvy-house where Yoshiko was serving her apprenticeship. Drawn to each other, they bonded and began a relationship that lasted for two years. They endured cultural conflicts, language problems, unplanned separations, and cataclysmic natural disasters. Their love endured through it all, but when the sailor returned to America, Yoshiko abandoned the life of a skivvy girl and returned to her home village where she was lucky enough to find work in a newly opened ceramic plant. Wiley returned to Japan after eight years with a vague hope of finding Yoshiko. By a chance encounter with a former Yokosuka skivvy girl working as a waitress, he learned that Yoshiko had returned to her village. Though apprehensive about the welcome he might receive after eight years, Wiley found Yoshiko willing to renew their love affair. Their idyllic relationship was not to last long, however, as fate cruelly dealt them a blow the star-crossed lovers could not overcome. 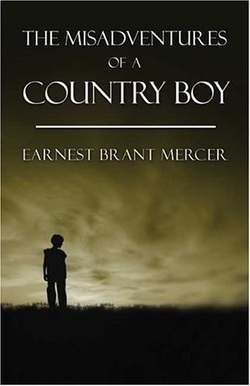 The Misadventures of a Country Boy recounts the sometimes humorous, sometimes exciting experiences of a boy born on a tenant farm in Alabama and his experiences over the next 75 years of his life. He tells of his school days in the small citrus town in the 30s, his four-year hitch in the navy—his training, his gallivanting, his fights, his escapades after drinking tons of Japanese beer. After leaving the navy, the book chronicles his life in university, 30-year career with IBM—working or living in over 40 countries—then settling down back in his home town. He tells of his experiences consulting with American start-up companies in Asia and the Czech Republic. Finally settling down, he describes his life in retirement and the fulfillment of his boyhood dreams. Peasants’ uprising against a despotic baron in Transylvania. A hand severed from the victim and trapped for centuries in a preserving fluid. The death of an embalmer in a funeral home. A String of grisly murders in the 1950s Virginia. These seemingly unrelated events hinge on the assassination of the tyrannical Baron Goranovich and his severed hand—a hand that, like its master, is perpetrating a deadly course of action. The baron’s ghost is doomed to roam the fetid halls of the dilapidated old castle. The hand, once set free, acting on a mysterious force wreaks its master’s cruel vengeance on anybody who stands in the way of its return to its origin, the village of Goranovichy in Transylvania, Romania. This is the wrath of the mysterious murderer known only as “Old Yellow Hand”. 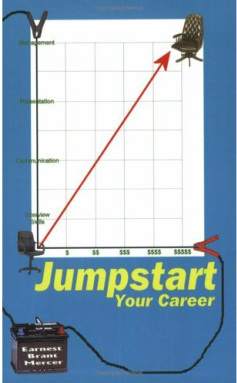 Based on the tried and proven methods the author used and taught in management/executive schools in over 40 countries, the reader can learn how to improve communication skills, how to get in tune with his or her boss, how to shine in interviews, how to survive office politics, how to make smarter decisions, how to make the most of tiresome meetings.